An Indo-origin man has been arrested for naturalization and US Visa fraud. He is a resident of Middlesex County, New Jersey. Craig Carpenito the US Attorney for the District of New Jersey announced this. The man has been accused of submission of 11 fake applications for H-1Bs and his citizenship as well. The accused man is Neeraj Sharma aged 43 years and resident of Piscataway, New Jersey. He has been accused in the complaint of 1 count of US Visa fraud and 1 count of fraud for naturalization. Neeraj has also appeared before Michael A. Hammer the US Magistrate Judge at Newark federal court. The allegations and charges in the complaint are just accusations. He is considered to be innocent until proven guilty. 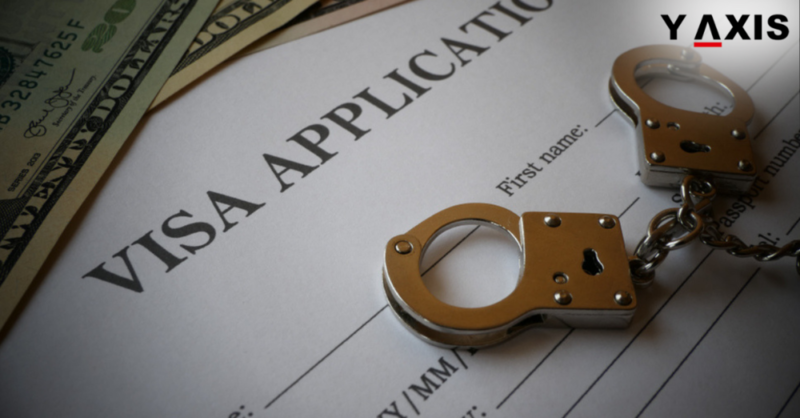 The maximum potential penalty for the naturalization and US Visa fraud charges is ten years imprisonment and a fine of $250,000. The details of the fraud have been revealed by the statements made in the court and documents filed in the case. Accordingly, Sharma hired overseas workers with supposed IT expertise looking to work in the US. He would submit their H-1B paperwork to US Citizenship and Immigration Services. In them, Sharma would represent falsely that the overseas workers had job offers of full-time positions at a National Bank. This was also a prerequisite for obtaining the Visas, as quoted by the News India Times. The prosecutors alleged that Neeraj never obtained jobs for applicants. He would submit fake letters to the USCIS on the letterhead of the bank. The signatures of the bank executives were also forged by him, they added. The H-1B Visas are for employers who seek to hire overseas workers. This is for specialty jobs workers or fashion models with distinguished ability and merit.